What do legendary artists Alexander Calder and Keith Haring have in common with a young, up-and-coming Lisbon artist named Vasco Costa? 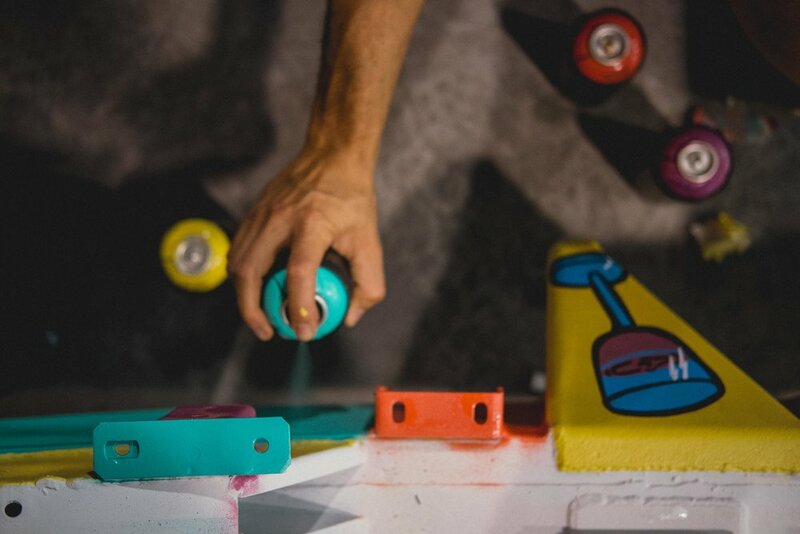 We won’t keep you in suspense: each applied his talent and skill to rolling, automotive art. Calder was the artist responsible for what is arguably the most recognizable example of this genre, the very first BMW Art Car: a 3.0 CSL raced in the 24 Hours of Le Mans in 1975. 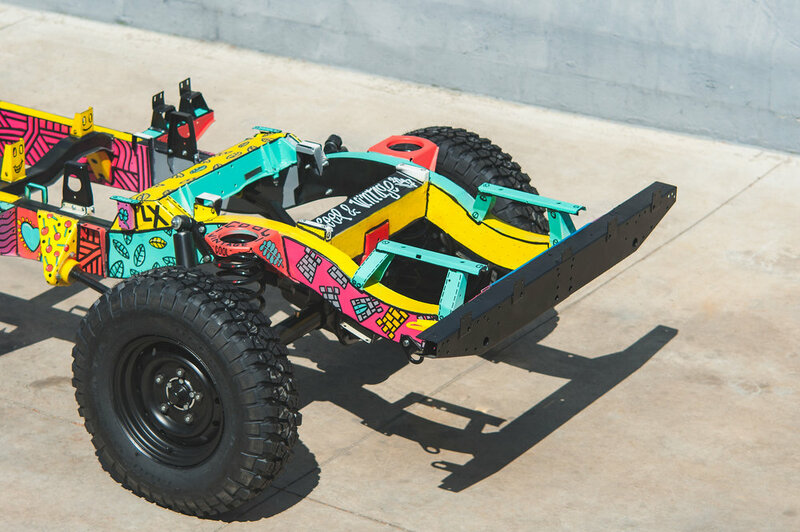 Keith Haring painted a 1971 Series 3 Land Rover shown at the Petersen Automotive Museum in Los Angeles in 2016. Welcome to a very special Land Rover 110 from CoolNVintage, one of the very first to roll off the Solihull assembly line in 1983 as the successor to the Series III. Which would make it special enough. 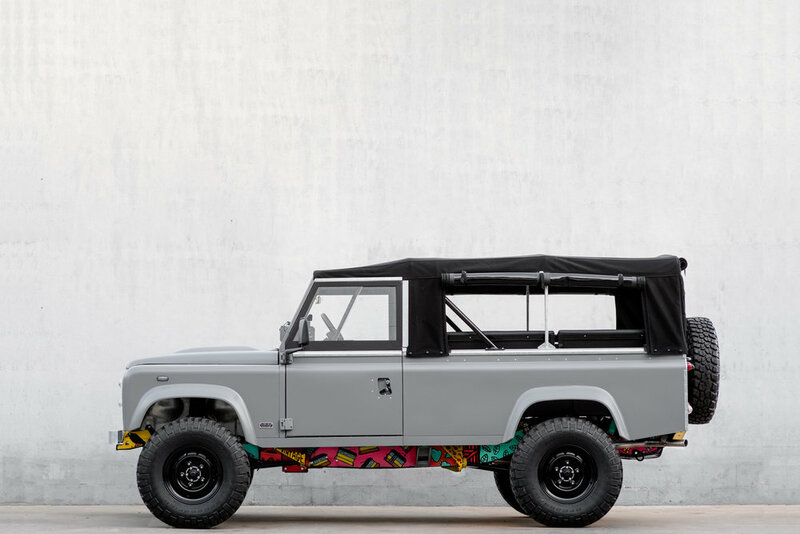 But this particular Land Rover is also the only one, as far as we know, to have a hand-painted chassis – by Vasco Costa. Which, of course, raises the question: why? And then: why paint a car where no one can see it? It begins with a life-long passion for Land Rovers, the arts and Lisbon itself ( my home town and location of our custom restoration shop). An awareness that all of life is a journey, however one chooses to define it: a road trip, a book read cover to cover, an hour in a museum contemplating a single piece, an odyssey of the soul. In fact, in long-time collaborator Vasco Costa (he was responsible for all of CoolNVintages early graphics work) we saw yet another kind of journey: that of an artist destined to go places. 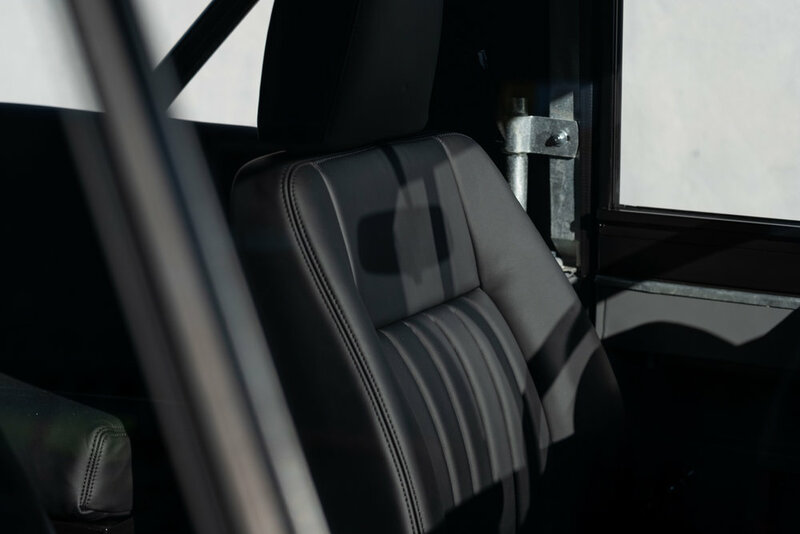 Because unlike a museum piece or a once-and-done race car, every CoolNVintage vehicle is built to be driven. Our cars eschew flash for the design mandate “form follows function,’ built for people who understand “journey” the way we do. People who understand that art is a profoundly personal thing, and -- like “place” -- doesn’t need to be worn on one’s sleeve, on a baseball cap, or on the side of a car blaring that it is special. People who understand that in any event, art is not only a thing – but an experience. Every square centimeter of that painted chassis that cannot be seen is about Lisbon. It is the soul of the machine. Then again, the one fortunate owner of this vehicle will always have the opportunity to put it up on a lift or crawl underneath it to reveal the artistry of the artist and engineers who brought this car back to life – and share it with whomever he or she wishes. Of course, for those not so inclined, there is the experience of the car itself, beginning with upgraded Fox suspension; V8 engine; air conditioning; wireless Marshall sound system; custom Connolly leather interior; and high-quality mohair soft top. It is the CoolNVintage way.